These cute decorative seal ornaments will bring playful character to spaces. 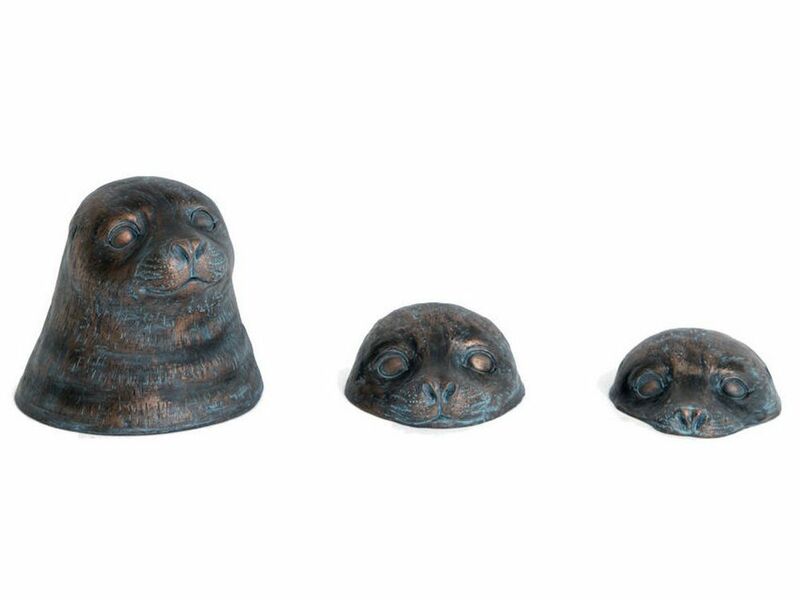 This trio of bronze finish resin seal sculptures shows the seals with their heads buoyed above the water, the mum protectively keeping watch over her pups. Made with a lovely bronze, Verdigris-style finish, this set of surfacing seal head ornaments pays tribute to the innocence and vulnerability of nature. Place them in a row across a mantel or windowsill or dot them around a room to bring a delightful and fun twist to your spaces.